Finding a pen pal is a great way to connect with people from other parts of the world, to learn a foreign language, and to open yourself up to a new culture. Of course, these days we have Instagram , Facebook , Skype and email, which make connecting with others around the world much easier. But the desire to connect with people in different countries has been around far longer than the Internet! The postal service has been helping people learn languages and make new friends for hundreds of years. And, even in this technological age, using snail mail to connect can still be incredibly effective. Thousands of people all over the world are looking to learn a language with a pen pal, and if you like writing letters (or if you think it’s something you might enjoy), it could be the language learning solution you’ve been looking for. 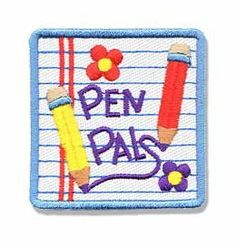 Let’s look a little closer at what a pen pal is, and how being one can help you learn a language.